Yarra Valley Water, City West Water, South East Water and Melbourne Museum are on a mission: to inspire the next generation of water saving heroes! Melbourne is growing but the amount of water on earth isn’t. If every Melburnian reduced their shower by just one minute, everyone could save up to 14 litres of water a day – that’s over 550 buckets a year each. Bring the whole family along to Melbourne Museum this school holidays to see how you can sing your way to water savings! We’ll have a mock shower where children can sing karaoke to a four-minute song to encourage them to have shorter showers. The shower will be set up like a photo booth with oversized props (from shower cap to rubber ducks) which will make for some fun and colourful photos. Or decorate a lovely bathroom tile. Our tiles are sticky and pull apart. One part will decorate the Melbourne Museum’s foyer, the other you can take home for your own bathroom to remind you to save water! 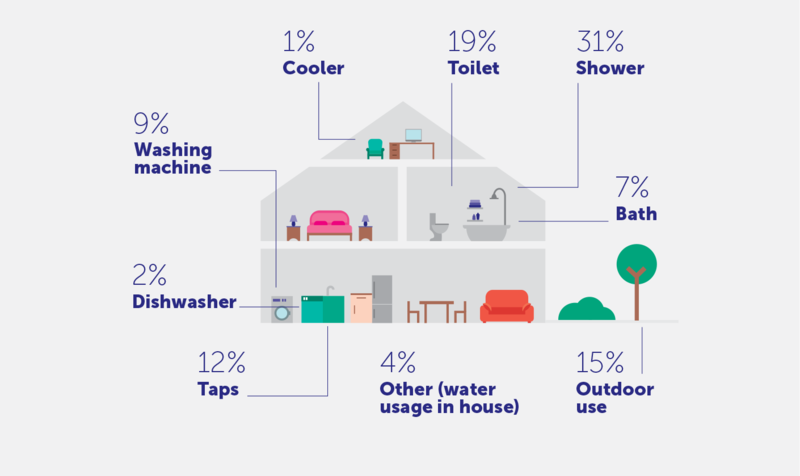 So as well as shortening our showers, there’s a lot we can be doing at home to help us use less water.